Cunard have released another exciting enhancement to the Queen Mary 2 for whilst she is in dry dock in early Summer 2016. The current Winter Garden will be transformed in to the Carinthia lounge during the refit and is named after the well loved Carinthia ships. The new space will have an elegant light and airy feel and will have the versatility to serve as a day and night time venue. The colours are to be powder blue, gold and cream with curved lounge seating and also dining tables and chairs around the new patisserie area. The venue will also feature a ‘Wine Wall’, Art deco inspired vertical metal screens and a dark walnut timber dance floor. During the day you can take a light breakfast, lunch or even a special Champagne afternoon tea here and in the evening the venue will pair complimentary tasting plates with premium wines and have relaxed entertainment on offer. Cunard have provided a sample, as below, of what will be on the menu and it sounds very inviting indeed! This looks to be a very chic and relaxing venue so Im sure will prove very popular! 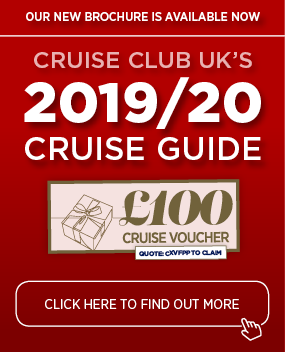 More news on the re fit is to be announced by Cunard so stay tuned for more updates…. Celebrity Cruises Swap Formal Nights for Evening Chic ! Ever thought of trying an Oceania cruise? 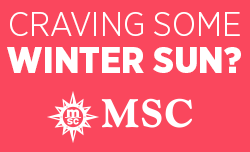 MSC Summer 2019 now on sale!